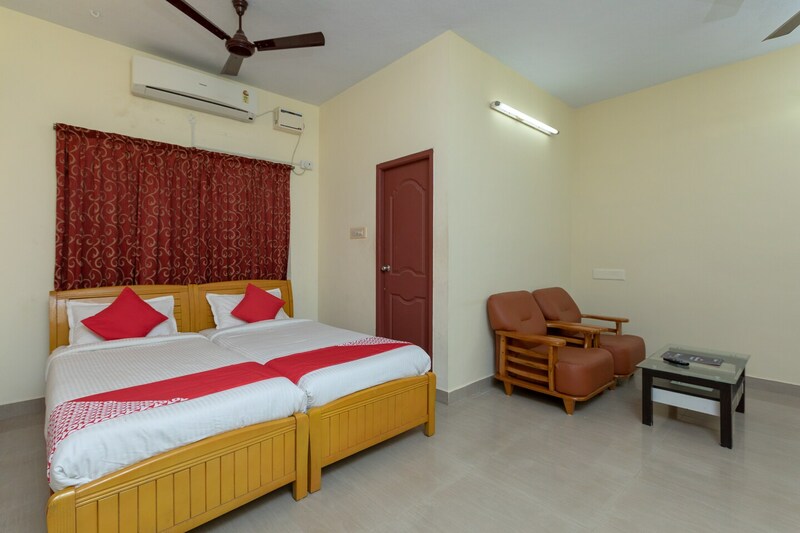 Vasantham Guest House is located in Thirumalai Nagar. The rooms of the hotel are commodious and will make the guests feel the utmost comfort. The light coloured walls create a relaxing and calm ambience while the dark coloured curtains give the room an elegant appeal. Space is modestly furnished with wooden furniture. The hotel has a comfortable seating area for its guests. It provides parking facility and accepts card payments. The CCTV cameras help to keep the campus safe and secure for the residents. This hotel is suited for all kinds of travellers.